Local prospect Bobby “BH3” Harris III is ready to breakout of the shadows cast by his father, retired pro boxer Bobby Harris, starting Saturday night, October 28, in the fourth and final 2017 installment of the popular professional boxing series, “New England’s Future”, at the DCU Center (Exhibition Hall) in Worcester, Massachusetts. 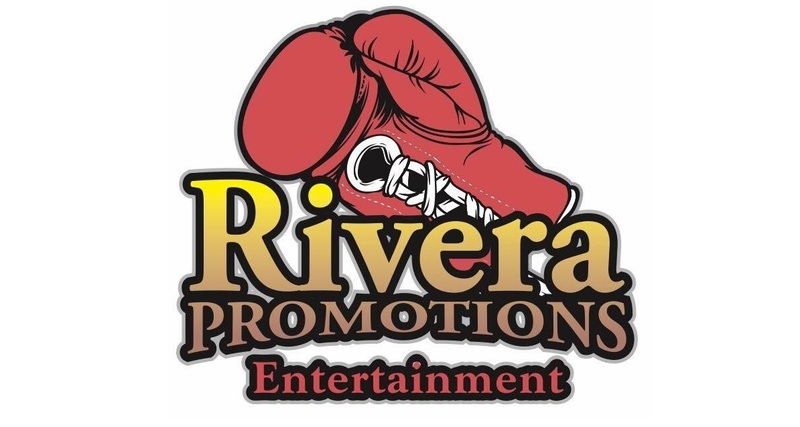 “New England’s Future 4” is presented by Rivera Promotions Entertainment (RPE), which is owned and operated by retired three-time, two division world champion Jose Antonio Rivera and his son, Anthonee (A.J.) Rivera. “BH3” and A.J. grew-up together in gyms as sons of pro fighters. They had dreams of making it in boxing, which has come to fruition with “BH3” the rising prospect, A.J. the president and matchmaker for RPE. At times, though, what’s transpired may be somewhat surreal for both young men. “BH3” only had about 40 amateur matches but the large majority were at the national level. He is a two-time national amateur champion, including a gold-medal performance in the USA National Championships, and as a member of Team USA, he was rated No. 1 in the U.S, and No. 2 in the world. Bobby’s father was a 4-time national amateur champion as a super heavyweight who compiled a 20-2-1 (13 KOs) pro record between 1993 and 1999. Today, he is an important member of his son’s corner, but he did leave a shadow cast over his son, especially across New England. “People will always compare me with my dad, in the ring, but, as good as he was, it’s a great honor to be his son,” Bobby Harris III remarked. “It’s been nothing but good for me. He trained with fighters like (Oscar) De La Hoya, (Shane) Mosley, (Evander) Holyfield and so many other great fighters. We are different, though. and now I’m establishing my own identity. The sport has changed so much since he fought. Back then it was mostly two guys beating each other up, not as much of a performance. I like to put on a good performance and have people say, ‘He’s cool, and when does he fight again. My dad has told me how different boxing is today compared to when he fought. Now, marketing is so important for fighters, and a lot of exposure is through social media. “BH3” turned pro this past June 10, in his Worcester hometown, taking a four-round unanimous decision (40-36 X 3) over an awkward opponent, Rodrigo Almeida, who seemed more interested in survival, often frustrating “BH3” with his constant holding. “BH3” plans to breakout from his father’s shadow in his Oct. 28th fight against New Yorker Troy Omer “KO Artist” Artis (3-7-1, 2 KOs), contested at a 164-pound catchweight, in a four-round bout. Former WBU Americans and IBU North American cruiserweight champion Vinnie “American Nightmare” Carita (16-1-1, 15 KOs), fighting out of Pembroke (MA), will face an opponent to be determined in the eight-round main event. Former UFC heavyweight title challenger Gabriel “Napao” Gonzaga will make his pro boxing debut in a four-round match against Washington D.C. heavyweight Alando Pugh (1-10-1, 1 KO). The “New England’s Future 4” undercard features many of the best and most popular N.E. fighters, including 2016 N.E. Golden Gloves champion Anthony Laureano (4-0, 2 KOs), a promising welterweight from East Hartford (CT), who faces Clifton Rashad Thames (3-2-1), of Oklahoma City, in a six-round match. Other undercard fights, all four-rounders, include 2014 N.E. Golden Gloves champion Adrian “Tonka” Sosa (4-0, 3 KOs), fighting out of nearby Lawrence (MA), vs. veteran Norwalk (CT) welterweight Shakha Moore (12-23-3, 2 KOs), New Haven (CT) Edwin Soto (10-2-2, 4 KOs) vs. Anthony Everett (1-6). of Lawrence, at a 150-pounds catch-weight, three-time USA Boxing Nationals champion Elvis Figueroa (2-0, 1 KO), of New Haven (CT), vs. Anthony Bowman (11-63-2, 3 KOs). Richard “Popeye The Sailor Man” Rivera (3-0, 2 KOs), of Hartford (CT), vs. Hansen Castillo (0-2), at a 180-pounds catch-weight, Southbridge (MA) junior welterweight Wilfredo “El Sucaro” Pagan (2-0) vs. Oscar Diaz (0-12), of Hartford, and Danbury (CT) junior welterweight Omar Bordoy, Jr. (2-0) vs. Alan Beeman (0-15), of Providence. All fights and fighters are subject to change. Doors open at 6:30 p.m., first bout 7:00 p.m. ET.